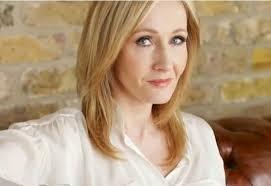 Joanne Rowling was born in July 1965 at Yate General Hospital in England and grew up in Chepstow, Gwent where she went to Wyedean Comprehensive. She earned degree in French and classic, as a postgraduate she moved to London and worked as a researcher at Amnesty International among other jobs. She started writing the Harry Potter series during a delayed Manchester to London King’s Cross train journey. She managed to finish Harry Potter first series The Philosopher Stone when she returned to UK to live in Endiburg after living in Portugal and became an English teacher.